Renowned for being a beautiful and affluent area, the sleepy Warwickshire town of Henley-in-Arden has also been revealed as the UK’s burglary hotspot, with more home contents’ insurance claims than anywhere else. A recent survey, undertaken by MoneySupermarket.com, analysed more than 2.5 million home insurance quotes from January 2018 to December 2018. It unveiled Henley-in-Arden as the unlikely ‘winner’ of the unenvied title, with 50.46 claims per 1,000 quotes, but also found that burglaries have risen a staggering 16% in the last year alone. 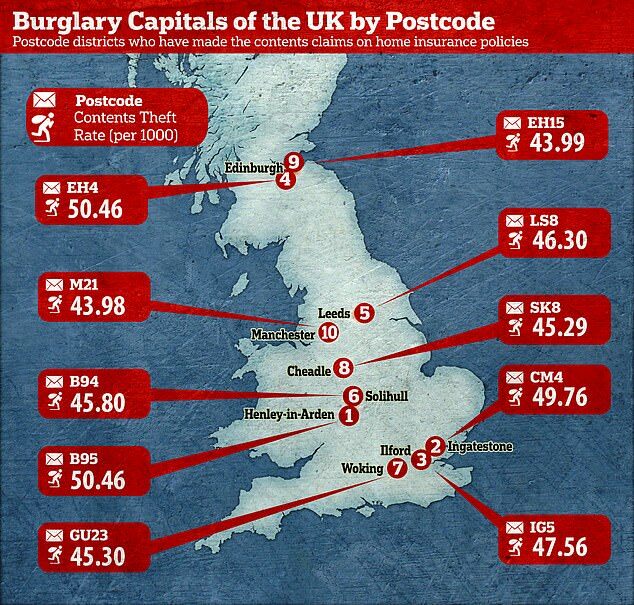 Burglary hotspots in the UK by postcode. The survey also interviewed 2,000 people in December and found that 20% of Britons feel they live in an area where burglary is higher than the national average. But despite this, 44% also said they hadn’t taken any precautionary measures to help protect their homes, such as installing burglar alarms and security cameras. 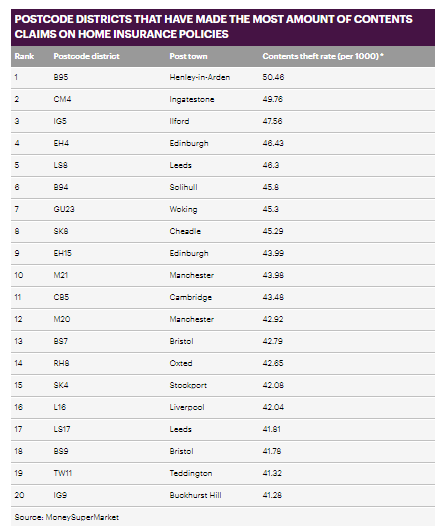 List of postcodes with highest contents’ insurance claims. For the record, the area with the lowest rate of burglaries was Whitehaven, near Carlisle, with just 0.76 claims per 1,000 quotes. But rather than upping sticks and moving north, isn’t it time we all invested a little more into our home security? Find out how you can protect your home and family with a fully-monitored system from Smart Home Protection.